At Mixmax, we’re obsessed with email and believe it’s still one of the best ways to reach out to customers, partners, and leads outside of your company. As a professional, sometimes you want to make yourself immediately available to business contacts beyond email. Being directly in-reach is especially important when helping an important customer, building a new partnership, or closing a deal. Now with Mixmax, you can embed an SMS contact form in email for others to reach you quickly without hunting for contact info. To add an SMS contact form, open a Mixmax compose window and click on the app menu in the bottom toolbar. Next, click on SMS Contact, and you’ll see a window appear enabling you to enter your phone number and a description of the contact form. 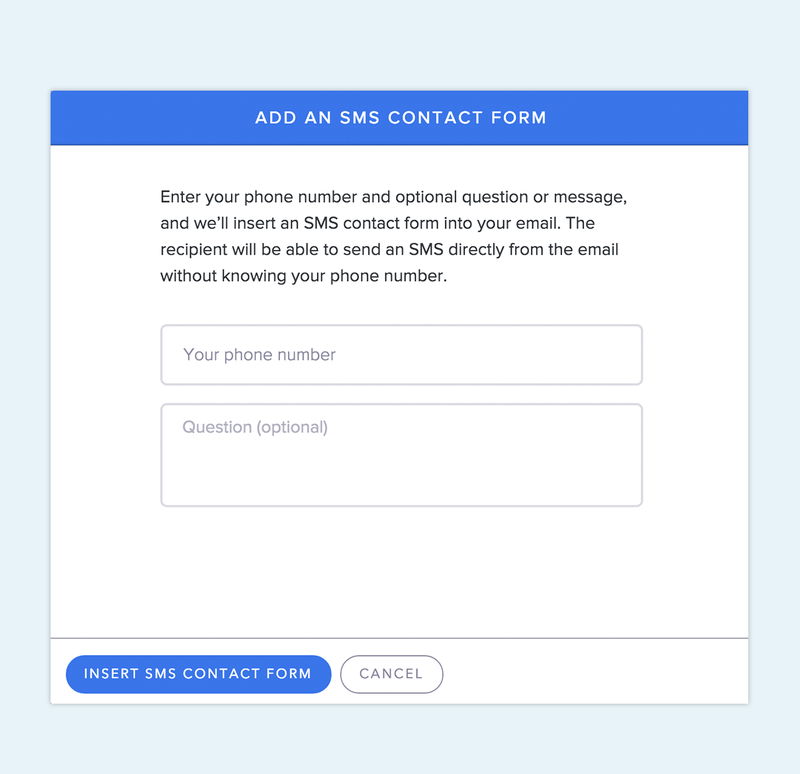 Once you’re done, click Insert SMS Contact Form, and we’ll embed the form right into your email. When recipients receive your email, they’ll be able enter a message in the form and send you a direct SMSwithout leaving their email. To try it out yourself right now, add Mixmax to your Gmail. 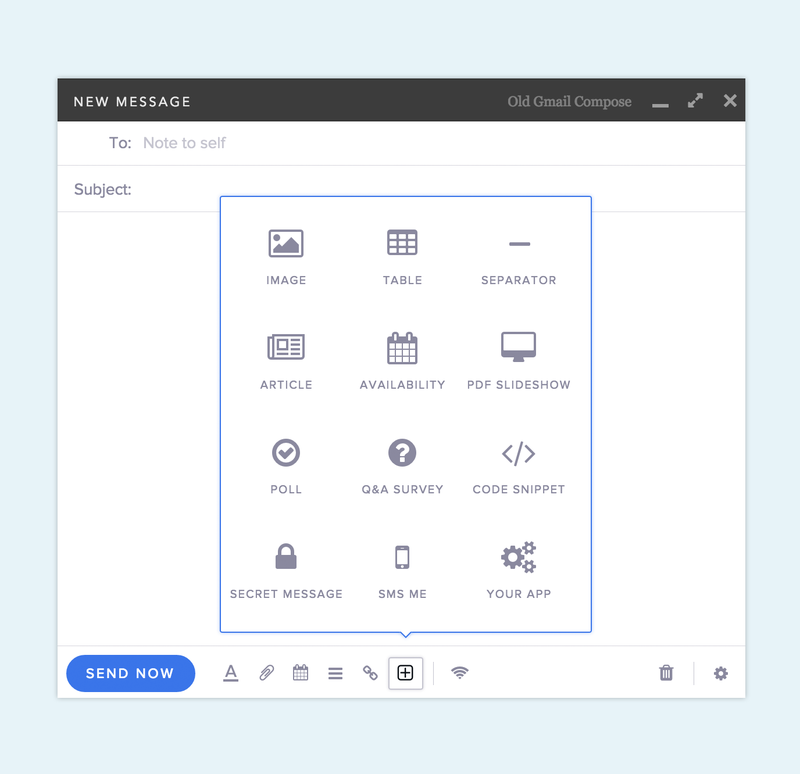 SMS integration is just one way we’re making email more powerful for professionals. If you have thoughts on how we can boost your productivity or supercharge your email, we’d love to hear from you. Reach out to us at hello@mixmax.com or tweet us @Mixmax.